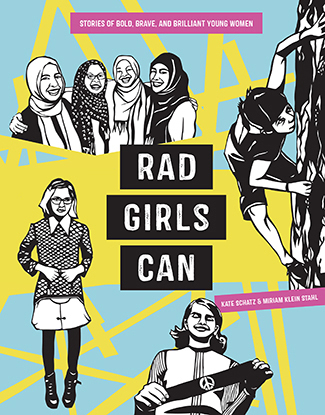 Rad Girls Can: Stories of Bold, Brave, and Brilliant Young Women is the title of the latest book by UC Santa Cruz alumna Kate Schatz, the New York Times best-selling author of Rad Women Worldwide and Rad American Women A-Z. It’s an inspiring collection of stories featuring a wide variety of amazing young women who have all made positive impacts on the world before the age of 20. Rad Girls Can includes teen activists like Lorella Praeli, who is currently leading the ACLU's efforts on immigration; the slam poetry group Muslim Girls Making Change; and 5-year old Sophie Cruz, who became one of the country’s youngest activists when she spoke with Pope Francis about legalizing her Mexican-born parents. It also features Mary Beth Tinker, the 13-year-old whose peaceful Vietnam War protest led to a landmark Supreme Court case for students’ free-speech rights; Yusra Nardubum a Syrian refugee who swam a sinking boat to shore, saved 20 lives, and then went on to compete as an Olympic swimmer; Trisha Prabhu, who invented an anti-cyberbullying app at age 13; and Barbara Rose Johns, whose non-violent, student-led high school protest helped start the Civil Rights Movement. 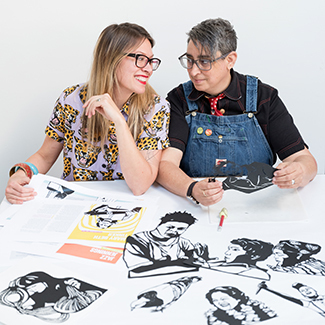 The 50 profiles are each paired with the expressive cut-paper portraits of artist Miriam Klein Stahl that helped make the first two Rad Women books so popular. A graduate of UC Santa Cruz in 2001 with a B.A. 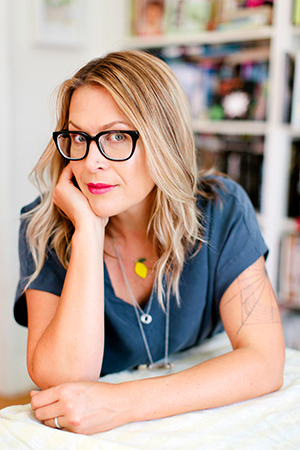 in women’s studies and creative writing, Schatz is a writer, editor, educator, and feminist activist. She is also the former chair of the School of Literary Arts at Oakland School for the Arts, where she taught fiction, poetry, and journalism to 9th-12th graders for many years. Schatz is additionally the co-founder of Solidarity Sundays, a nationwide network of feminist activist groups, and she speaks frequently about politics, resistance, feminism, race, and parenting.